A smart and collaborative marketing and promotional calendar tool. Save time in planning, executing and analyzing homepages, marketing emails and all other e-commerce content. 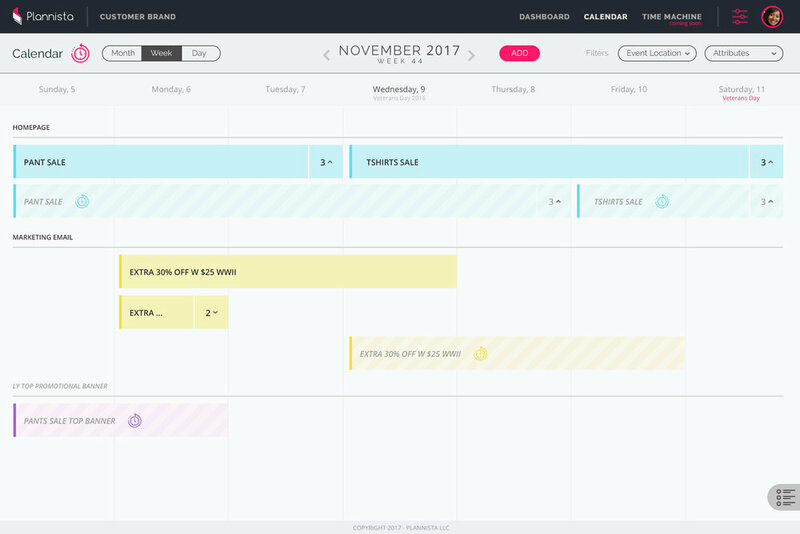 A powerful planning tool built for e-commerce teams. 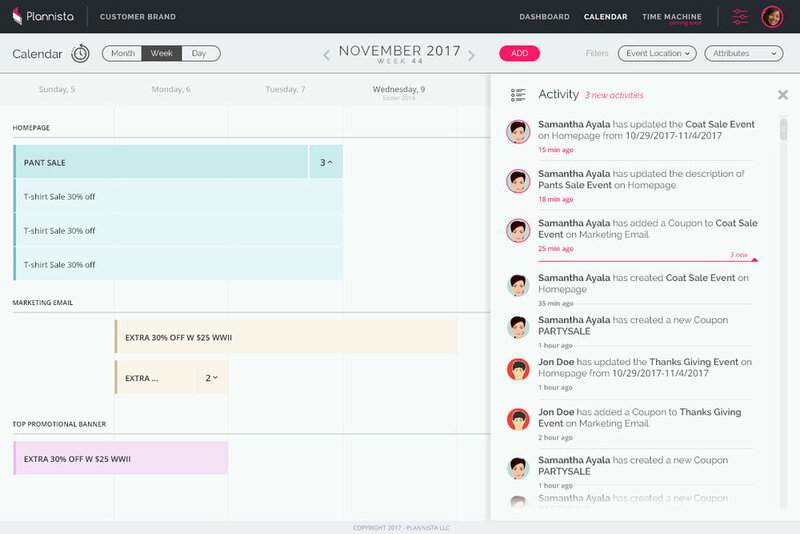 Connect your content marketing calendar to your analytics and workflow tools such as Adobe Analytics, Google Analytics, Heap, Asana, Podio and Basecamp.